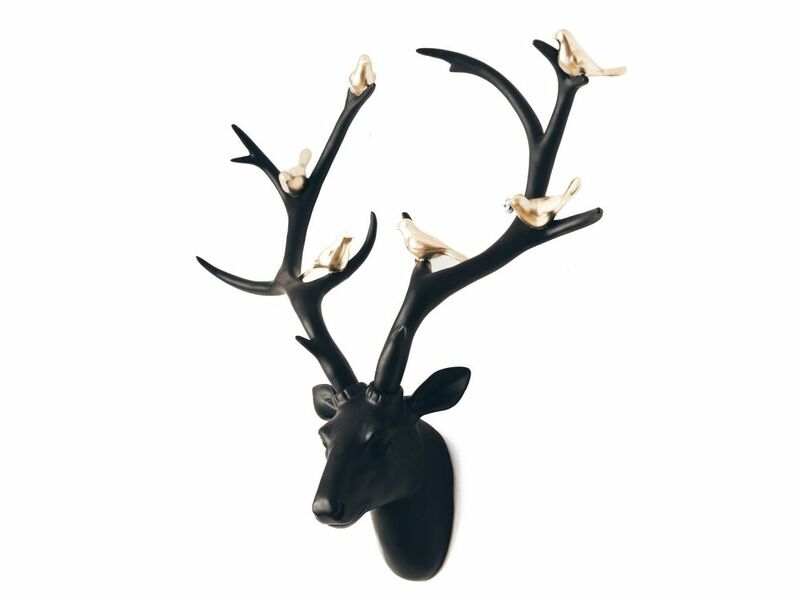 This striking black and gold deer head sculpture is an absolute work of art. Highly unique, this black deer head sculpture can't fail to create an eye-catching focal point in rooms, with its smooth jet black surface and contrasting shiny gold birds. Its magnificent antlers on full display and shown with bright golden birds perched on top, this resin stag head wall hanging oozes luxury and grandeur. A fitting tribute to an incredible creature, this deer head hanging will add a hint of lodge-style highland opulence to spaces.